Mr. Sugar daddy, Ben Nance was anticipated and welcomed with the big box of favorite sugar redline donuts. Attending today was: Jerry, Rita and his assistant Rachel, Barbara, Manuel, Celia, Jean, Roy, Ben, Juan, Nellie and our President Vickie Gambala. 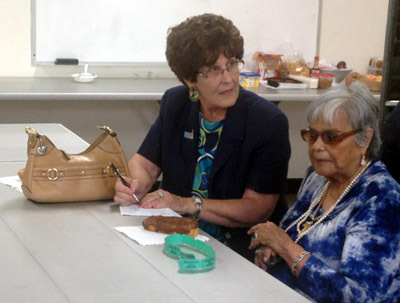 She and Juan had updates on the Chula Vista Pow wow. She also reported on a Navy chiefs celebration for four women. 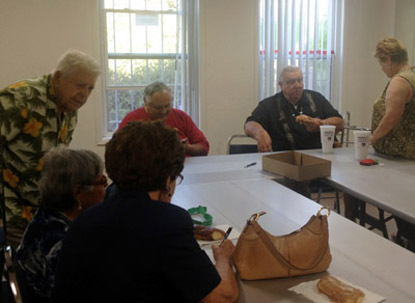 Manuel Flores reported on the talking circle meeting for seniors on Saturday. This day our blessing was by Celia Flores. 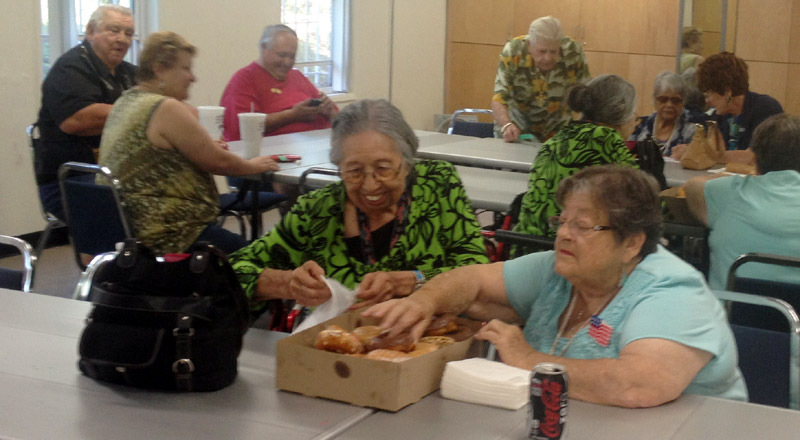 Tonkawa luncheon selections were all very tasty and healthy choices that added to the experience of community. Thanks to Jerry Starnes for the chicken posole soup. Barbara brought in a sausage stew that was very tasty. Many excellent salads, outstanding sliced fruit and berries along with sweet melons. It is a fine day when we can gather together in fellowship and feast and enjoy each others good company. This day, after adjustments, produced a glorious sense of community. Celia and Manuel have been summer house cleaning and brought in gifts to be awarded by lots. This activity added to the members ability to enjoy this wonderful summer day with smiles and thoughts of past activities and past members participations. Final discussion covered dues and the non- hosting of the summer dinner, maybe later in the year. 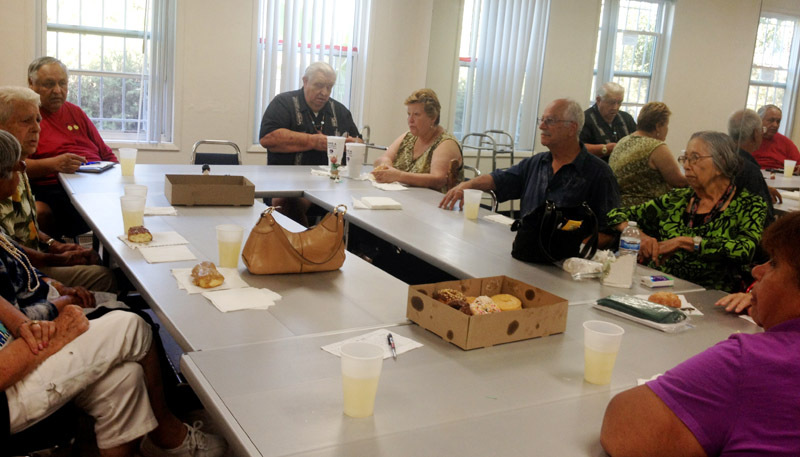 Our next Tonkawa meeting will be in this same location on September 14, 2014.